The large image pictured below, is composed of a kitchen sink that has a granite top with rough edges protruding from the cabinet. It also has a curved stainless steel faucet with double stainless steel basins. The walls facing the back of the sink are tile. The cabinet below the sink, has drawers with a number of different sizes for your necessary kitchen tools and cleaners. 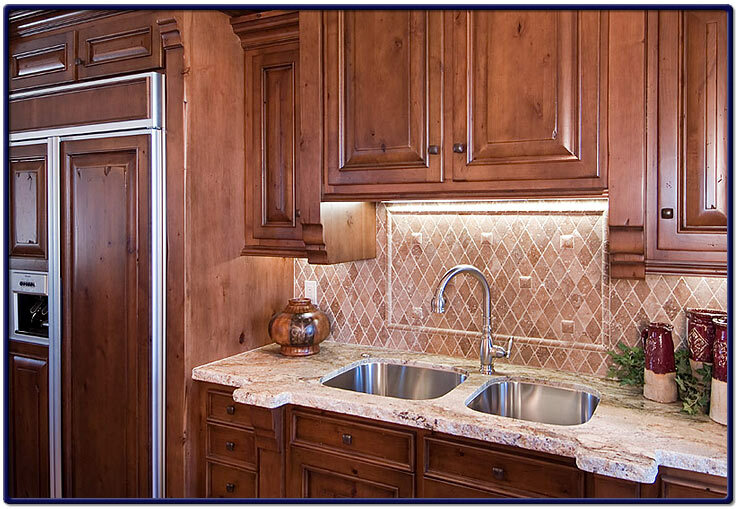 Granite is easy to clean and maintain, and the sink has deep pocket containers. This is a perfect addition to your kitchen.